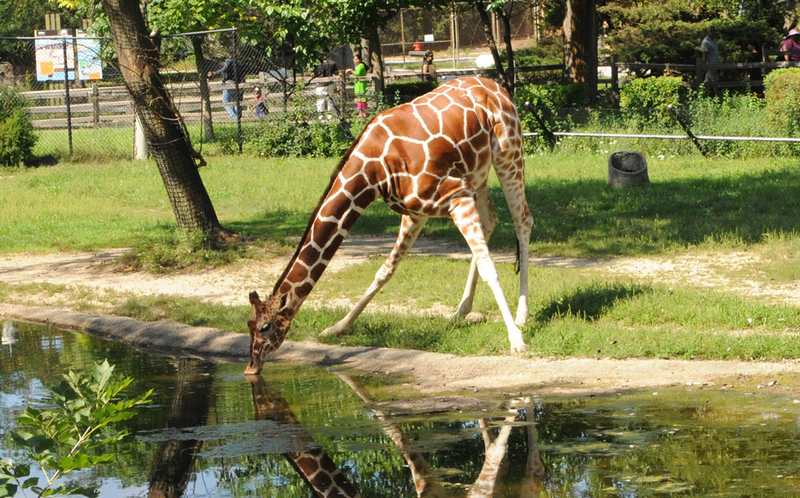 The next time that you stroll across the grounds of Brookfield Zoo, we hope that you allow your mind to travel beyond Chicagoland to consider how the zoo and its residents are connected to the larger world. For instance, you can imagine yourself in the natural habitats of the zoo animals’ wild counterparts - from the rainforests of South America to the African savanna. You also may think about how each individual is part of a greater zoo population that is carefully managed in terms of breeding, housing and animal care practices. Even our employees working behind-the-scenes, such as the members of our Animal Welfare Research team, are linked to a wider international community of researchers, academics and animal care professionals. As you may know, Brookfield Zoo is one of 232 facilities accredited by the Association of Zoos and Aquariums. All of these organizations are expected to promote good welfare by adopting best practices, participating in research projects and applying welfare assessment tools. While some have a welfare scientist on staff, it is rare to have an entire team of endocrinologists and behavioral researchers who are dedicated to improving the daily lives of zoo animals, as we do here at Brookfield Zoo. Our Endocrinology Lab is one of only a few zoo laboratories that uses non-invasive sample types (e.g. feces, saliva, urine) to monitor hormones related to welfare and reproduction. We even offer these services to other zoos and aquariums. So what’s our role? It is our job to promote the sustainability of threatened and endangered species by enhancing the physical, mental and emotional health of individual animals. To do so, we take a holistic approach to welfare monitoring. We use novel scientific techniques to track behavior, capture zookeepers’ assessments of welfare and incorporate physiological measures of well-being. Our Endocrinology Lab is one of only a few zoo laboratories that uses non-invasive sample types (e.g. feces, saliva, urine) to monitor hormones related to welfare and reproduction. We even offer these services to other zoos that do not have the necessary personnel or resources! The Chicago Zoological Society is leading an international study on cetacean welfare. It spans 7 counties, involves 44 facilities and monitors over 300 subjects. We are examining how physical habitat, environmental enrichment and training impact welfare. Our team’s unique blend of expertise also puts us in an excellent position to conduct multi-institutional projects on various species. 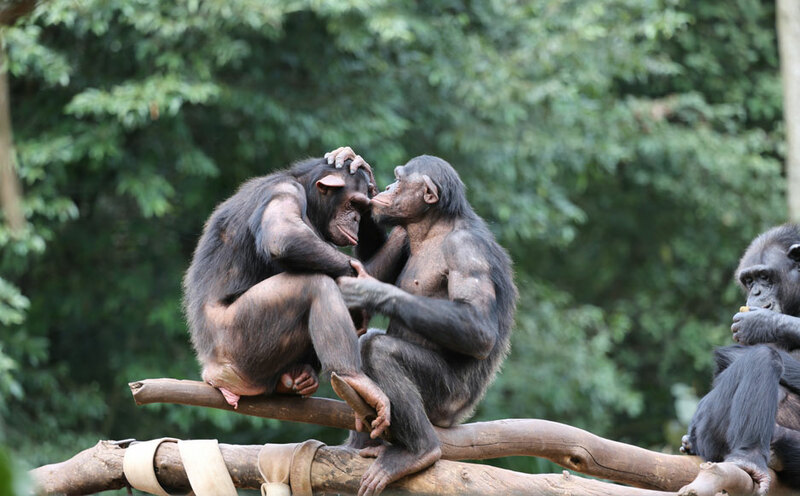 For example, we are coordinating a large-scale study aimed at improving chimpanzee welfare, which includes 41 chimps living across 16 facilities. We are also leading an international study - which spans seven counties and monitors over 300 subjects - that examines how physical habitat, environmental enrichment and training affect the welfare of cetaceans. Several of our projects integrate innovative technology, including software for tracking zookeepers’ assessments of welfare and m-tags that log an animal’s movements and activities (similar to a Fit-Bit©. The Chicago Zoological Society is coordinating a large-scale study on chimpanzee welfare that includes 41 subjects living across 16 facilities. We are investigating whether animal care specialists can implement the WelfareTrak® monitoring system to regularly track, and ultimately improve, the welfare of individual animals. As leaders in welfare science, we are not only committed to training others but also to advancing the field by uniting experts with diverse perspectives. Aside from offering welfare courses to animal care professionals from other zoos, we regularly host an international symposium on zoo animal welfare that draws researchers who work with farm, companion, lab and even wild animals. By inviting all of these great minds from different settings into the same room, we can highlight new approaches, methods and tools for enhancing the welfare of zoo animals. So, during your next visit to Brookfield Zoo, try to think about how the individuals that you see roaming around (both human and nonhuman) fit into the “big picture” of animal welfare and conservation!